The Ministry of Finance said last week that the Global Forum on Transparency and Exchange of Information for Tax Purposes (Global Forum) affirmed Singapore’s exchange of information (EOI) regime as being in line with international standards. In two peer review reports, Singapore’s legal and regulatory framework were examined against criteria for transparency and information exchange, as well as practical implementation of the said framework. According to the reviews, Singapore has extensive requirements for registration and licensing which ensure that company ownership and identity information is readily available. These requirements are supplemented by tax filing and reporting obligations. Global Forum also said that Singapore’s regulations and reporting requirements, are supported by a high level of supervisory and enforcement measures put into place by government departments, resulting in high compliance with regulations. 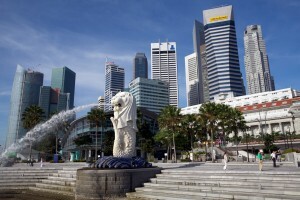 The Inland Revenue Authority of Singapore (IRAS) was also found to have broad powers to access information from any person, including the power to search premises and seize information, and to obtain written statements. Singapore also cooperated extensively with its EOI partners, and in a timely and effective manner, with IRAS having sufficient resources to ensure that information exchange is swift and comprehensive. Up to 300 requests for information were approved since 2013. Because of this, Singapore has been seen as a reliable EOI partner. Indeed, one of our recent Tax Updates covered exchanges between Singapore, Malaysia, and Indonesia, which had come under speculation by the media. This obviously supports doing business in Singapore, it shows Singapore as a reputable jurisdiction to set up and operate a business in. It’s numerous incentives, ease of finding funding, and free business atmosphere coupled with transparent information and tax regulatory frameworks ensures that Singapore companies can operate with ease internationally.